SENIOR BABY ADS are DUE FRIDAY, MARCH 22nd, 2019. No submissions will be accepted past the due date. DEADLINE EXTENSION - MONDAY, APRIL 1ST, 2019. No submissions will be accepted past this date due to the final publishing deadline. Photo submissions for SENIOR BABY ADS can be in digital or printed format. Please be sure to include a message with your photo submission, all contact information, address, phone number and email address along with a self-addressed stamped envelope. Without a self-addressed stamped envelope we will not be able to return printed photos. Payment for ads can be made by CHECK, CASH or CREDIT through the Sprague business office only. Students are NOT AUTHORIZED to receive payments for baby ads. Provide pictures in JPEG format, 300 pixels/inch. Please do not copy images from the internet because they will not have sufficient resolution. Mail or hand deliver a disk, SD card or flash drive along with your full name, the message and all contact information to the﻿ yearbo﻿ok staff. 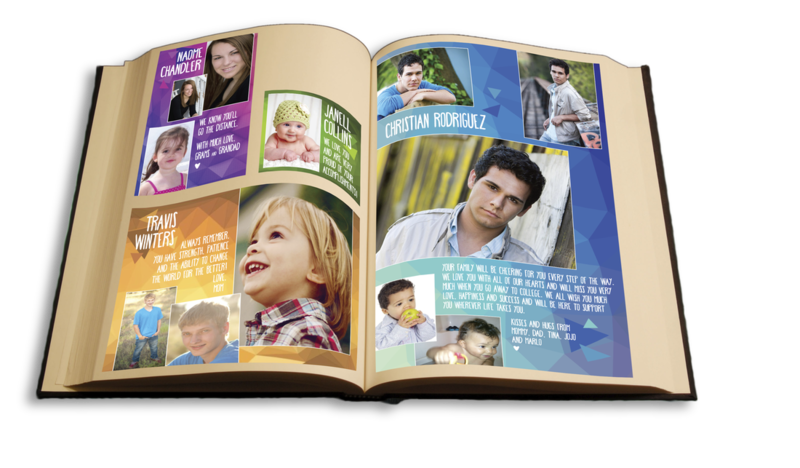 Provide pictures no smaller than 2"x3" with a matte finish, not glossy. Mail or hand deliver photos along with your full name, the message, contact information and a self-addressed stamped envelope to the yearbook staff at 2373 Kuebler Blvd. S, Salem OR 97306. *If a self-addressed stamped envelope is not provided we will not be able to return your baby photos. After printed photos are scanned they will be color corrected, touched up and cropped as needed. We reserve the right to reject submissions that fail to meet the criteria or appear inappropriate, but we will make every effort to contact you for a replacement.